Pet friendly holiday at The Thatch. These are the reviews for The Thatch. There are 14 reviews. We would highly recommend the cottage to other clients. Nice cottage , decent size television , lovely dog friendly pub a few minutes away. Good location for visiting many places , only 35 miles from several coastal resorts as well for a day out at the beach. Really enjoyed the accommodation - the owners live next door. They were very welcoming, but left us alone, which was lovely. We would definitely stay again. The location & the tasteful preservation of the cottage that the owners must be very proud of it was a pleasure to stay there & visit the area of Somerset. The cottage was very clean/comfortable with welcoming tea/coffee making facilities on arrival. Brilliant break for late in the season. Highly recommended. I would certainly recommend this property to family and friends. It is such a beautiful cottage in beautiful surroundings. Our stay was most relaxing and our dog enjoyed herself too. The location of the cottage was handy for travelling all over Somerset and for the local pub, just a couple of minutes walk up the road. We had a completely relaxing stay at the Thatch. The cottage as well as it's surroundings is beautiful. A modern bathroom and kitchen added to a country style living room gave us both all the modern amenities we needed but still retained it's country origins. The local pub being less than five minutes away from the cottage was a bonus, especially as it did really good food also. The garden, which was ours exclusively, was beautiful and it was lovely to sit outside in the sun after we had gotten back from our travels around Somerset. I would highly recommend the Thatch to all my friends and family. 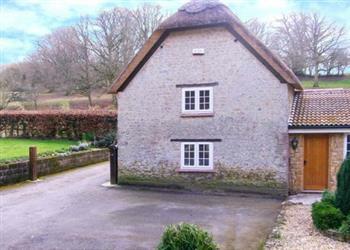 The Thatch was a charming character cottage in a beautiful rural setting. The interior was comfortable and included all the facilities required. The garden was lovely, with well kept flower borders and attractive table and chairs. This is an excellent cottage in a tiny village with a good local pub just up the road. It is very well equipped and the owners are lovely hosts. Would definitely recommend. Such a fantastic cottage, the photos don't do this justice! I couldn't have asked for anything more from this perfect cottage and location. The cottage was in a very rural, quiet village with a good pub for food. There are plenty of places to visit within a few miles and the owners are most friendly and helpful. We really enjoyed our time there. Fully recommend it for a quiet time to unwind. 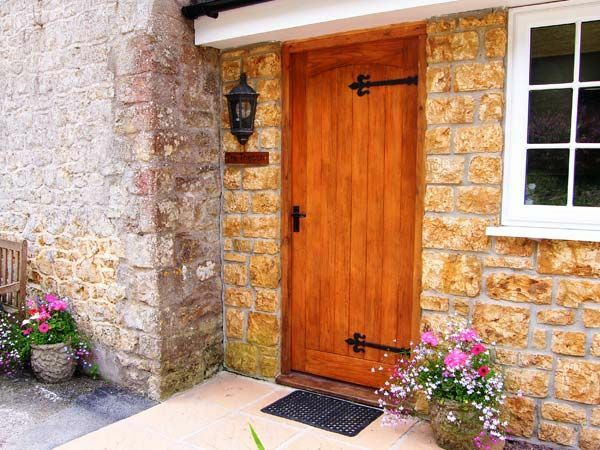 Quiet location near to good pub and convenient for visiting Dorset and Somerset. Friendly owners! The cottage was cosy and comfortable. The owners went out of their way to ensure everything was perfect for their guests. Beautiful area, quiet and peaceful. The Owners are the most helpful people you could wish to meet. An absolute gem!!!! If you're looking for other cottages around The Thatch, we've got some cottages below which may take your liking. There are 101 cottages within 10 miles of The Thatch - and they have reviews too.